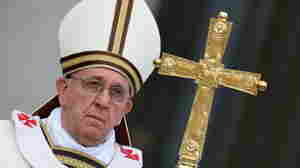 March 31, 2013  Pope Francis called for peace before a crowd of tens of thousands in St. Peter's Square on Sunday. He called for reconciliation in the Korean Peninsula, an end to the conflicts in Syria and between Israelis and Palestinians. March 30, 2013  Pakistan's top female squash player used to disguise herself as a boy, to avoid possible Taliban retribution. When her secret was revealed, she faced a terrible choice. Host Scott Simon talks with Maria Toorpakai and her coach, former squash world champion Jonathon Power. March 30, 2013  The eurozone bailed out Cyprus, but the years ahead will bring poverty, job losses and fewer opportunities. 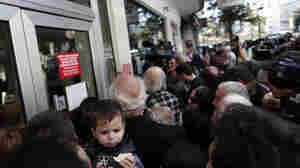 Host Scott Simon talks with Joanna Kakissis about the mood in Cyprus now. March 30, 2013  For years, U.S. policy toward North Korea has been going on the premise that economic sanctions could deter North Korea from developing nuclear weapons. Host Scott Simon talks with David Kang, professor of international relations and business at the University of Southern California, about the state of the North Korean economy. March 29, 2013  This model was hailed as a success in Somalia and is now being marshaled to fight rebels in the eastern Congo. 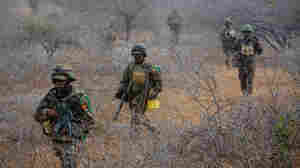 It involves Western nations providing financial support to African troops who do the peacekeeping. But why are African countries so silent about their casualty figures? Is North Korea's Warmongering Rhetoric-As-Usual Or Something To Worry About? March 29, 2013  Robert Seigel talks to Victor Cha of the Center for Strategic and International Studies about recent threats from North Korea on the United States and South Korea. March 29, 2013  Pervez Musharraf angered Pakistan's legal community for actions he took against the judiciary when he ran the country. He received a rude greeting at his first court appearance. March 29, 2013  Nearly 7 million people visit the Chateau at Versailles a year. But one day a week, it's closed. That's a spa day of sorts, when conservation work and cleaning takes place at the Grande Dame of France royal residences. The hardwood floors alone require nearly 1,000 gallons of wax a year.